This is the first book by Scott Westerfeld, I know I’m so late, but I must say I’m glad I finally gave him a chance. After worlds is a very unique book in fact it’s two books in one. The main book follows 18 year old Darcy who has just finished a book and signed a publishing deal. Darcy moves to New York to live out her dream as a writer. A different spin on a coming of age story (living on your own, work, time management, 1st love, etc) but we also get to read Darcy’s book that follows Lizzie after a near death experience. In the book the chapters alternate so you get Lizzie for an entire chapter then it’s back to Darcy. I thought the alternating chapters would drive me crazy but I actually enjoyed it. I rated this book 4 out of 5 stars and I would recommend it, I mean where else can you get contemporary and Sci-Fi all in 1 place? 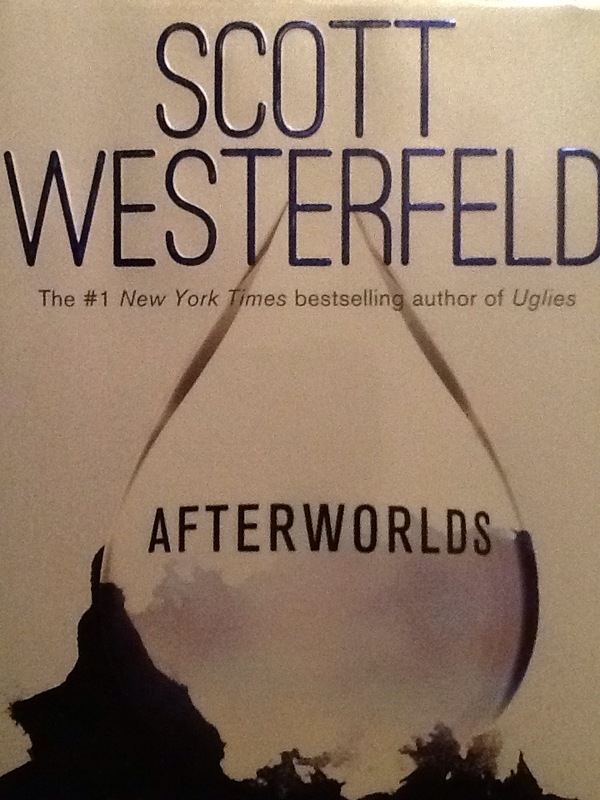 I look forward to reading more from Scott Westerfeld, his series The Uglies has def moved up my TBR list.!!! Happy Reading!!!!!!! !